Perhaps we should rename today ‘James Clip Tuesday’, given we’ve already brought you the latest vids from James Blunt and James Vincent McMorrow and now James Arthur! 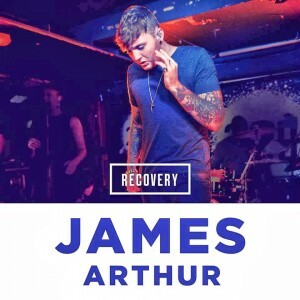 Yes our hiatus time seems to have been a particularly busy one for the Jameses of the music world and the former British ‘X Factor’ winner is no exception, dropping the clip for his latest single ‘Recovery’. Sadly the track hasn’t quite done the business in the same way its predecessors ‘Impossible’ and ‘You’re Nobody ‘Til Somebody Love You’ did, peaking just inside the British top 20 late last year, despite a performance of the track on the very show that made him a star. Its lacklustre performance might also have plenty to do with a homophobic slur the singer made a couple of months back which resulted in him taking an extended break from social media. Shame really, ’cause his vocal on this is pretty spectacular.